On Thursday morning, the Australian Financial Review published a story saying that Lyndon Rive, Tesla’s vice president for energy products, promised the company could deliver 100-300 MWh of storage to South Australia within 100 days of signing a contract. Early on, Tesla worked in private with companies to sort out pricing depending on the size of the contract. But last night, Musk publicly responded to Cannon-Brookes with rates. “$250/kWh at the pack level for 100MWh+ systems. Tesla is moving to fixed and open pricing and terms for all products,” Musk tweeted. The rate would bring the price of a 100MWh system to $25 million, excluding costs like labor and shipping. In the Australian Financial Review article, Rive had said that the quick turnaround would be possible because Tesla’s Nevada Gigafactory is ramping up production. The Gigafactory is where Tesla will produce large quantities of Lithium-ion batteries in partnership with Panasonic. Tesla has been busy striking deals with utilities and grid managers. It announced the installation of a solar-panel-plus-battery system in Kauai this week and one in Southern California in January. The company, which primarily produces electric cars, has said it wants to partner with utilities rather than compete with them. The grid situation is especially dire in South Australia, where several power outages and threats of power outages have caused concern. Australian news reports have blamed extreme weather, the closures of aging coal plants, the low price of gas, and the intermittency of renewables for causing the crisis. Battery companies like Tesla contend that energy storage could alleviate some of the pressure of peak load times and make renewables fit better on a heterogeneous grid. 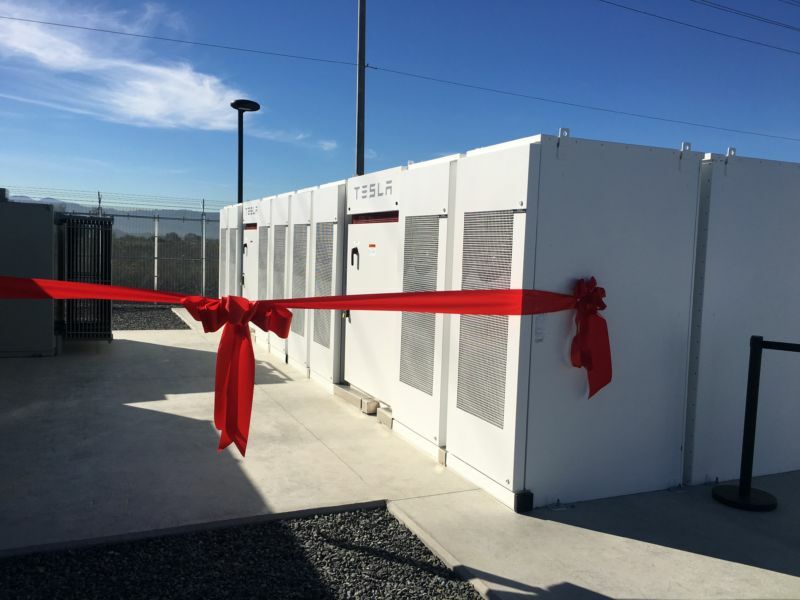 On Thursday, Rive said Tesla could offer a similar battery deal to the state of Victoria, where a 1600MW coal plant is set to close.